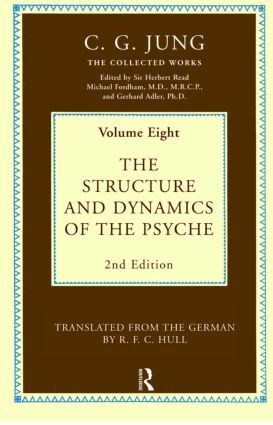 The Structure and Dynamics of the Psyche first appeared in the Collected Works in 1960. In this new edition bibliographical citations and entries have been revised in the light of subsequent publications in the Collected Works, and essential corrections have been made. The book traces an important line of development in Jung's thought from 1912 onwards. The earliest of the papers elaborates Freud's concept of sexual libido into that of psychic energy. In those that follow we see how, Jung, discarding one by one the traditional 'philosophical' hypotheses, gradually arrived at a concept which is even more controversial than psychic energy was in its day ^DDL namely, psychic reality. The book contains the first mention of the archetype in Jung's writings as well as his later views on its nature. There is also a valuable account of the therapeutic uses of 'active imagination' first described in an essay written in 1916. Contents: Editorial Note. Translator's Note. Editorial Note to the Second Edition. I. On Psychic Energy. The Transcendent Function. A Review of the Complex Theory. II. The Significance of Constitution and Heredity in Psychology. Psychological Factors Determining Human Behaviour. III. Instinct and the Unconscious. The Structure of the Psyche. On the Nature of the Psyche. IV. General spects of Dream Psychology. On the Nature of Dreams. V. The Psychological Foundations of Belief in Spirits. Spirit and Life. Basic Postulates of Analytical Psychology. Analytical Psychology and Weltanschauung. The Real and the Surreal. VI. The Stages of Life. The Sould and Death. VII. Synchronicity: An Acausal Connecting Principle. Bibliography. Index.